Things are looking dire for the future of the House of Windsor at the moment. At least, that’s what the tabloids would like you to believe. 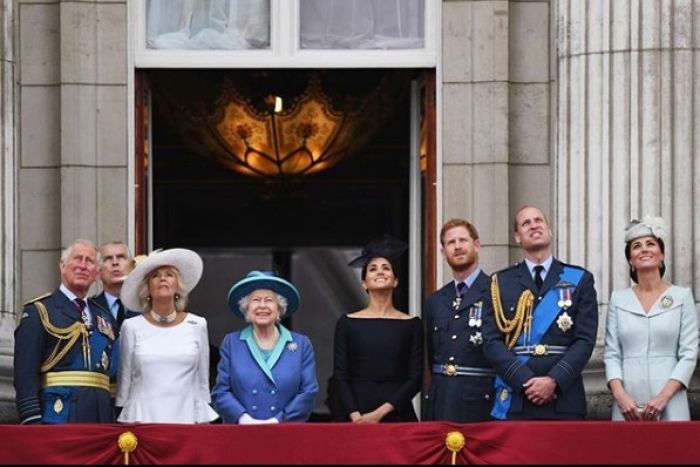 Look at the headlines: “Meghan ‘left Kate in tears over her strict demands”, “Meghan and Kate embroiled in ‘POWER PLAY'”, “Queen Elizabeth ‘reached her limit’ with Meghan and Kate”, “Prince William ‘wanted an ESCAPE’ from Duchess at Sandringham”, “Prince William and Prince Harry ‘haven’t spoken’ for 250 days”, “Meghan and Harry ‘not invited’ to Kate’s birthday”, “Why Meghan was doomed to LOSE in battle with Kate”. 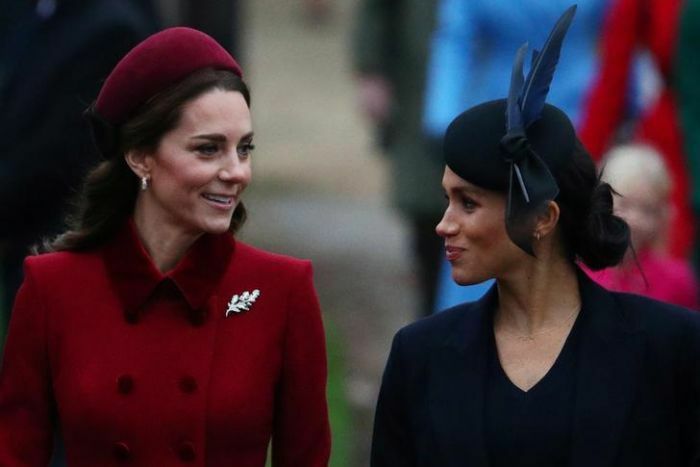 If you’re thinking the idea of a rift between the Duchesses of Sussex and Cambridge all seems a bit hackneyed, that’s because it probably is. Three months into the alleged feud, the tabloids — perhaps scenting the public’s increasing weariness — have opted for a new approach, taking a break from constantly comparing Meghan and Kate to shame their readers for daring to do so on social media. But rumours of a Royal rift are the bread and butter of the tabloid press. 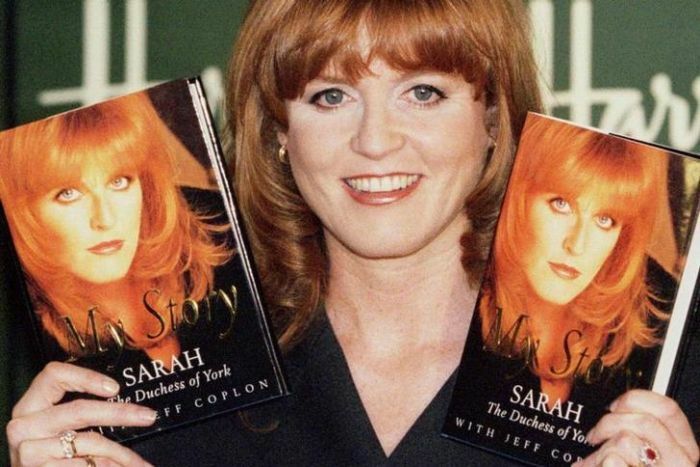 Meghan and Kate aren’t the first royal sisters-in-law to be dogged by feud rumours — this has happened before in the ’80s, with Princess Diana and Sarah, Duchess of York (or Fergie, as she’s known to the tabloids). Unlike this generation of the wives of Windsor, who met at most two years ago, Diana and Fergie knew each other long before joining the Royal family and their relationships were put under the microscope. 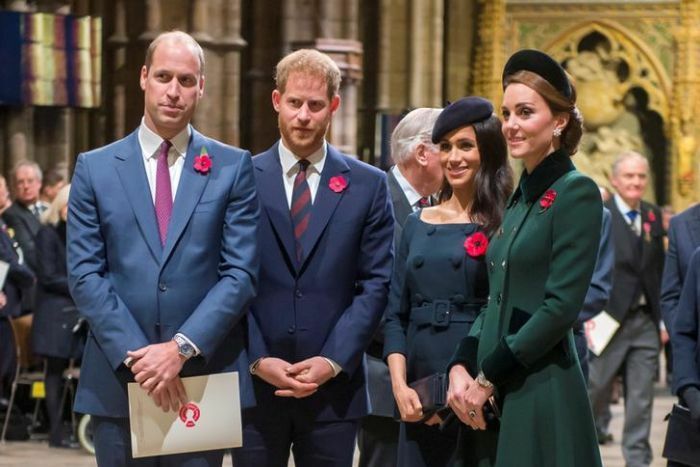 The pair were, in fact, fourth cousins whose mothers attended school together, but they didn’t become close until after the then Sarah Ferguson started dating Prince Andrew, Charles’s younger brother, before their marriage in 1986. Diana played an integral role in bringing Fergie into the family from her privileged position as Charles’s wife. At this point, it seemed like the only way for their friendship was up. Ahead of Fergie’s wedding, Diana helped her friend navigate her first public appearance with the Royal family, even lending her a dress and accompanying her to the event. Writing in her 1997 biography My Story, Fergie recalled her nerves over the assembled photographers: “I looked over at my friend in befuddlement. The pair — then in their 20s — went on to act their age at Sarah’s bachelorette party. Along with a handful of friends, Fergie and Diana dressed up as policewomen and caused a scene outside Buckingham Palace, where they were questioned by the authorities. Returning home the same night, they locked Prince Andrew out as he returned from his bachelor party. One year later in 1987, they were publicly criticised for poking their friend Lulu Blacker in the backside with their umbrellas at Royal Ascot. And in 1991, they were seen riding quad bikes around the golf course at the Queen’s estate in Balmoral while wearing their evening dresses, according to numerous reports. But the friendship soon suffered as constant comparisons in the media got the better of them — something the duchesses themselves both acknowledged. And Fergie has spoken of her famously tumultuous relationship with Diana numerous times, most recently addressing the rift with Harper’s Bazaar last year: “Because we were like siblings… we rowed. Their relationship endured years of comparisons in the tabloid media that saw Diana typecast as a bore and Fergie as the life of the party. A 1987 Vanity Fair article claimed Fergie’s “fizz” was leaving Diana “flat”. According to journalist Georgina Howell, in the year following Fergie’s marriage to Prince Andrew, the “rambunctious redheaded Duchess of York [charmed] the Queen, captivated Prince Philip, and romped away with the hears of the British public”. Fergie’s rumoured popularity, the piece said, “highlighted the mounting pressure on the Princess of Wales” and amounted to the “beginnings of a Royal catfight”. 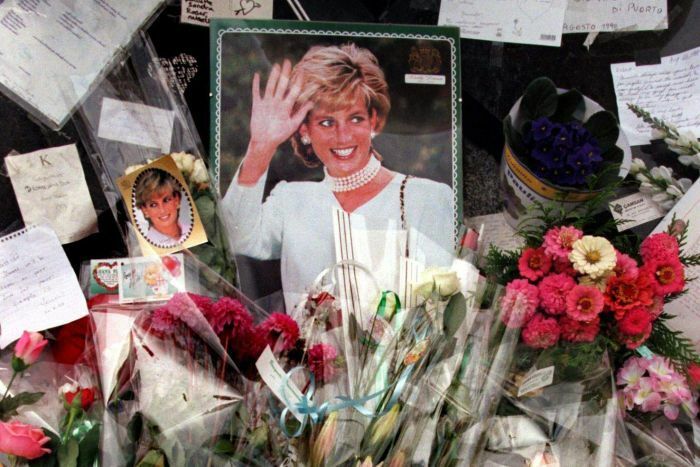 While Fergie was firstly depicted as a “jolly nice girl [who] would be no competition for the Princess of Wales”, the article claimed she went on to overshadow Diana. After an excruciating recap of all the ways Fergie was allegedly a better Royal compared to Diana — touching on everything from skiing ability to dinner party conversation — the piece concluded: “Unfairly, [Fergie] is far better suited to a Royal role than [Diana]. “Though outwardly rowdy and unguarded, Sarah is, in Royal parlance, ‘sound’. If you’re thinking all of this sounds very done and familiar, that’s because the media has dusted off the same dichotomy for Meghan and Kate, creating the perfect background for an alleged feud to play out. The Sun frequently exploits it. An “expert” cited by the paper recently described Meghan as “sexual” and Kate as an “introvert”. But the UK tabloid isn’t alone. Thousands of articles by various publications across the globe employ such charged descriptors for the duchesses, to boost rumours of a feud between them. 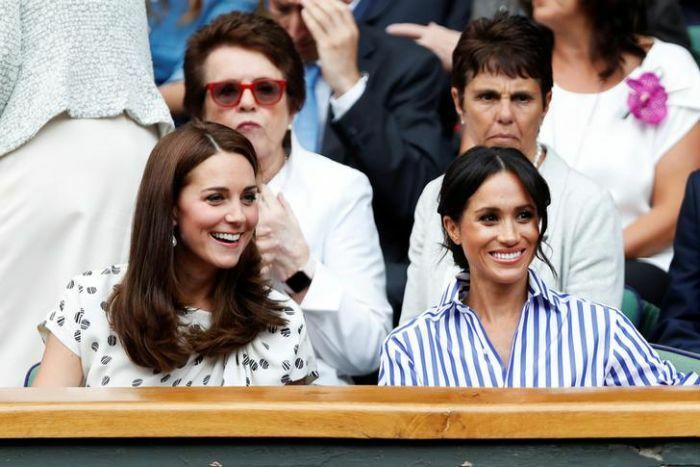 Meghan and Kate have none of the same reasons to “feud” as Diana and Fergie did, according to Australian Women’s Weekly editor-at-large and Royal correspondent Juliet Rieden. “My experience with the Duchess of Sussex and the Duchess of Cambridge is that they get along fine, and they’re both eminent women in their own right who are doing a great job and are engrossed in their own world,” she says. Rieden says the Royals are “incredibly caged”. “Yes, they have a lot of celebrity, but they are in a position of potential influence without the ability to actually do anything. “They can raise awareness for things, but they can’t change laws or make any political statements. “Because they don’t have power, because they’re not effecting change, we can’t write enough about their work. “Consequently, [the media] get caught up making up stories about eye rolls. [The tabloid press] certainly would try to tell you they get better sales when people are warring, or seem to be warring, than in happy mode. In addition to dealing with the media pitting women against each other, Meghan and Kate face the added pressure of a 24-hour news cycle. Everything the duchesses do is magnified and repeated within minutes in thousands of publications across the globe, in ways that would have been inconceivable to Diana and Fergie decades ago. We know better, so why do we pay attention? According to University of Michigan evolutionary psychologist Daniel Kruger, the answer goes right back to our origins. From an evolutionary perspective, human beings have only ever lived in small communities of around 200 people, he explains, and historically this is the number of people we can keep track of. However, our modern population explosion has given rise to much larger societies and living communities than we evolved to cope with. “We hear about these people that we might never encounter in our lives, but we still see them as part of our social world because our psychology is not designed to think about millions of people,” he says. “So, it’s very easy [for the media] to convince us that [Royals] are relevant to our social world because most of the time, the people that you had information about were important in the past. We are particularly susceptible to high-status people such as the Royals, according to Dr Kruger, and we pay attention to them because in the past, they wielded power that could have had tangible consequences for us. When we read a headline telling us Meghan and Kate are having it out, against our better judgment a primal part of our brains tells us this information is important to us. Decades on from Diana’s death, tabloids continue to publish tell-all articles on the “People’s Princess” and Fergie, claiming to share intimate details of the pair’s relationship from 40 years ago. The only way to avoid frivolous coverage of Royal “news” is by abstaining from the consumption of it. But, given the way we react to Royal news is unlikely to change because of our pesky psychological makeup, we’re at something of an impasse.